Whether you run a bar or are hosting a 21-and-up event, a beer store keg is sure to get the party started. After a quick visit to your craft beer shop, you can decide which specialty beer to fill your keg with before bringing it back for safekeeping. Then, you’ll need to know how to stow the container so the quality of the beverage is preserved. When serving beer in large quantities, you might find that patrons favor a particular drink over another. As you notice these trends, group similar beers together. That way, if you run out of one, you won’t waste any time locating a similar choice when customers ask. Grouping beers together by categories such as ale, lager, and stout will allow you to stay organized and keep service running smoothly. Just as you would organize a cabinet full of canned goods, arrange your beer store kegs according to their expiration dates. Keep the kegs that are closest to expiring near the front of the pack so they will be used before they go bad. As you finish one keg, pull the next oldest unit to the front of the line to be selected. As a general rule of thumb, beer will stay fresh for about 30 days after the keg has been tapped. However, to ensure total customer satisfaction, monitor the kegs on a daily basis to check for freshness levels. For fresh beer, keep kegs upright and undisturbed. When you add a new keg to your storage room, clear out a few feet of space on all sides so bartenders can easily access the new unit without knocking anything over. Allowing plenty of room between each keg will ensure they remain upright and reduce the chance of contaminated, flat, or otherwise unsellable beer. If you’re looking for top-shelf beer, wine, and spirits in Clayton, GA, turn to Rabun ABC Package Store. This premier adult beverage shop has everything you need to stock up. With an impressive selection of high-quality liquor and wine, their team of speciality beverage experts will help you track down exactly what you’re looking for. 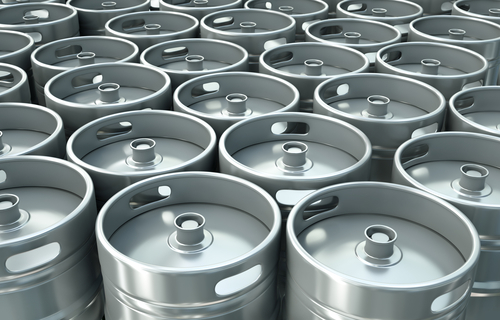 For more information on beer store kegs, go online or call (706) 782-6937.